If we were to ask you to describe your property in a sentence, you’d probably focus on your house. Maybe you’d mention a garage, or a pool or a deck. But you probably wouldn’t add your driveway or sidewalk into the elevator pitch. This is the funny thing about our property’s hardscapes. They’re a dominant part of your home – but we don’t always realize just how dominant they are. It’s the first and last touchpoint with a property. If you or a visitor are arriving at your home, the driveway or sidewalk is the first place you’ll go. And when you’re leaving, it will be the last. Concrete gets dirty – fast. Dirt, grease, oil, even chewing gum — concrete cleaning and power washing is an easy way to erase the eyesores that accumulate before you even realize it. Your property will thrive with clean concrete. 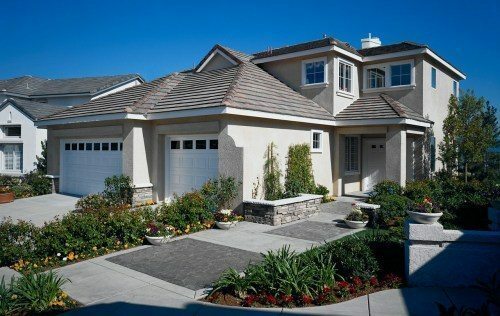 Our concrete cleaning solution is an easy way to invest in curb appeal. But it’s also a surefire way to protect your property as an investment. With our team working our concrete magic, your property has never looked better. And it’s an effect that will last.